There have been many changes among the ski resorts in Park City Utah this year. First came the news that Vail Resorts had purchased Park City Mountain Resort and now comes the news of yet another acquisition. Deer Valley Resort has entered into an agreement to purchase Solitude Mountain Resort, located in the Big Cottonwood Canyon of the Wasatch Mountains. Deer Valley Resort plans to start operating the ski resort on May 1, 2015. Deer Valley’s big purchase came about in an attempt to expand offerings in the Utah market. And being that Solitude is a family-friendly resort with a wider range of beginner and intermediate slopes than other nearby resorts, Deer Valley saw the potential. 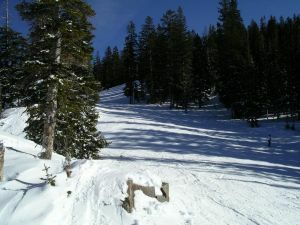 In fact, 70% of Solitude’s slopes are beginner or intermediate which is the highest ratio in the Salt Lake City area. Going forward, Solitude Mountain Resort will operate as usual for the upcoming 2014-15 ski season, with no changes to lift ticket prices in the works, and will continue to allow snowboarding even after the Deer Valley acquisition. The ski landscape in the Park City area has seen some major changes recently and each of the new acquisitions will only benefit Park City area residents and tourists. Offerings for skiers are expanding— especially with the future plans for One Wasatch to connect seven ski resorts in Utah. Deer Valley’s purchase of Solitude Mountain Resort is not intended to make the Big Cottonwood Canyon property a smaller version of the Park City resort, but simply to expand offerings for ski enthusiasts in the area. If you live in the Park City mountain community or are dreaming of a move to the surrounding areas of Kamas, Heber City, Midway, Francis or Oakley, I would be glad to discuss details of the local real estate market. Do not hesitate to contact me with any questions you might have about buying or selling a home in Utah!